Sarah works as a User Experience Strategist, designing for a wide range of industries, from government technology to narrative experiences. She creates data-driven design methods and designs products and services with user-centered, emotional data. One of her favorite projects was a research method she developed that combines biometrics, video, GPS, and text to better understand how residents feel about their neighborhood. Sarah is also a public speaker and workshop facilitator, speaking at events such as Interaction16, Personal Democracy Forum, and Bloomberg’s Data for Good conference. She has traveled throughout the US and Europe helping folks better understand how to creatively incorporate data into their designs. 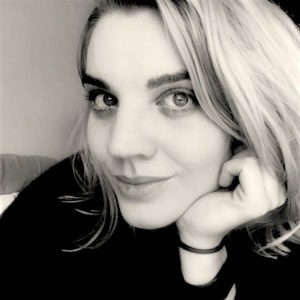 Sarah received her MFA in Interaction Design from the School of Visual Arts and has worked with frog Design, the New York Times, Code for America, and Refinery29.